Los Angeles is in the midst of a huge expansion of public transportation, and it’s expected that 7.8 million people will live within three miles of an LA Metro station in the near future. The Metro just recently expanded to take someone all the way to Santa Monica! This makes Los Angeles a prime candidate for innovative first mile, last mile vehicle solutions, and LA Metro is on the hunt for vehicles that can meet that need. After Metro toured our shop last fall, they asked to borrow some URB-Es to try for themselves on Los Angeles public transit. When they took to the streets, they found that URB-E was surprisingly easy to take on and off Metro trains and buses. When we demonstrated just how many URB-Es could comfortably fit on Los Angeles public transit, they were blown away. After seeing what URB-E had to offer, Metro connected us with a group of Coro Fellows researching Personal Electric Transportation (PET) as a last mile solution. 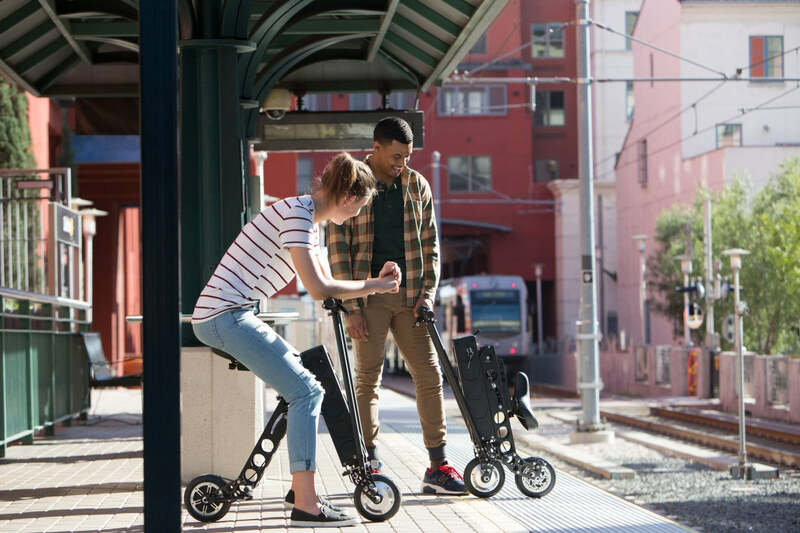 The fellows compared URB-E to other foldable bikes and electric vehicles, and they recommended URB-E as one of the most lightweight and portable vehicles on the market. Financing options available with approved credit! URB-E is classified by the city as a non-pedaling bicycle, which means that it is both street and sidewalk legal in most of Los Angeles. 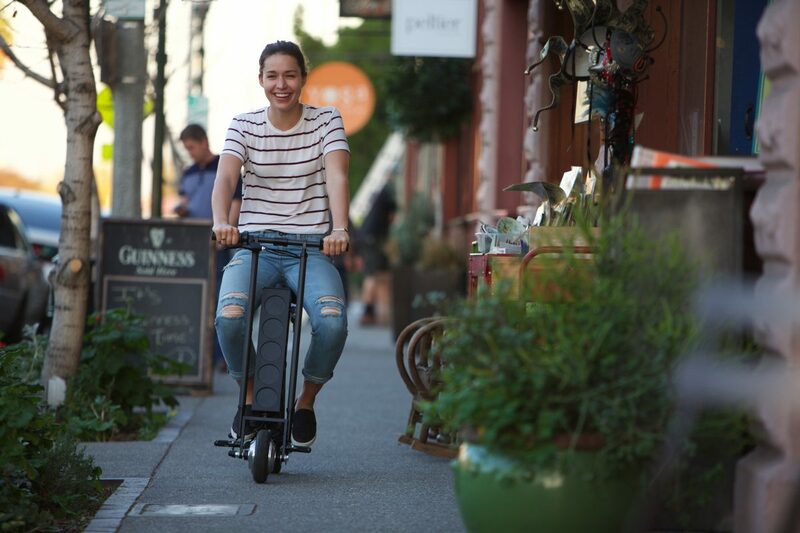 Yep, you can legally ride URB-E as your last mile vehicle on surface streets, in bike lanes, and on most sidewalks without a license or registration! A word to the wise: We recommend checking local ordinances before riding on the sidewalks. In a few high-traffic areas of Los Angeles, URB-Es can only be ridden in the bike lanes. Also, URB-E should never be ridden on the freeway. But we hope you knew that already. Going forward, URB-E is excited to work with LA Metro to continue finding solutions to the first mile, last mile problem of urban commuting. We’re dedicated to supporting Los Angeles transportation in its pursuit of sustainable connectivity. See Our Store for More URB-E Info!